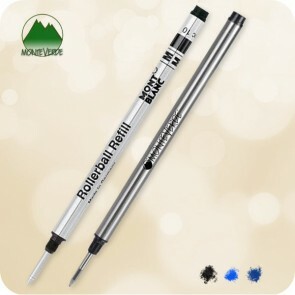 This Montblanc Rollerball refill alternative by Monteverde fits Montblanc® Rollerball Pens. It offers smooth, comfortable writing with the finest developed inks. Precision engineered from USA high quality metal parts, with nickel plated brass tube and Swiss writing tip. Does not fit the Le Grand model! It also fits the Cartier Santos Rollerball pen.